By adding a Portal to your Dynamics 365 solution, you can improve customer and partner interaction with your business, all while reducing your servicing costs and without the need for custom development. One of Microsoft Dynamics 365’s newest features is the ability to quickly and easily build a web portal for your customers, with no development skills required. A Dynamics 365 portal is a platform for consuming knowledge, accessing tools, and driving customer engagement. It allows you to create a customised space that can be used as a springboard for customised applications and to host content specific to your business and its customers. Please contact us to learn more about Dynamics 365 Web Portals and how they can help your business ensure its customers are engaged and satisfied. 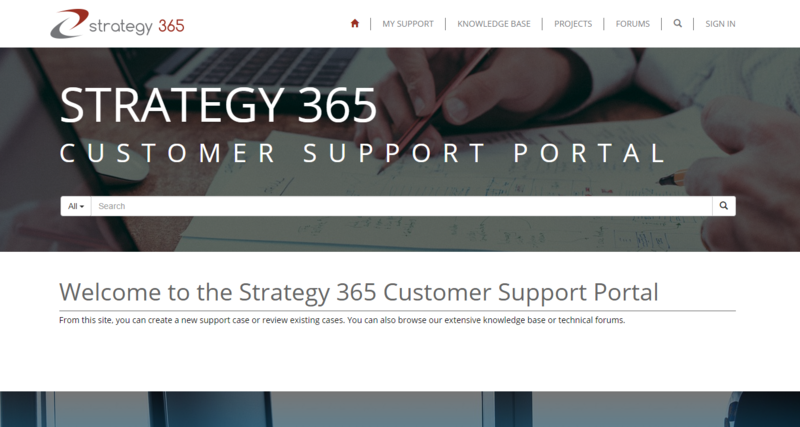 Our own Customer Support Portal is an example of the power of Dynamics 365 Web Portals, allowing for the logging and reviewing of support cases and providing the ability to collaborate on projects.